This unique Tokyo exhibition dares you to witness Anna Sui’s true colors. Fashion is a fickle business, so creating a brand that remains relevant for over two decades and has a global following is no small feat. 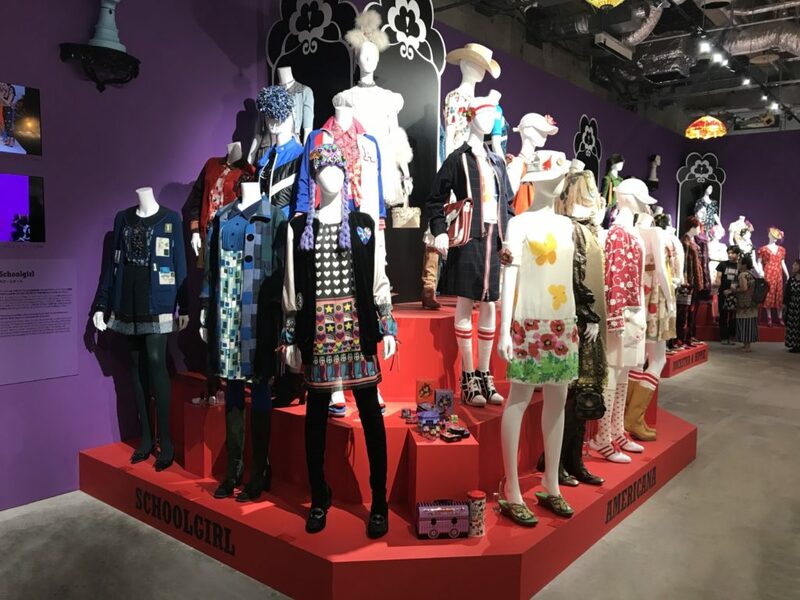 New York-based designer Anna Sui has reached this milestone, and to celebrate twenty years of her business in Japan, she is currently showing a special exhibition of some of her most iconic designs at Roppongi Hills. Sui’s first runway show took place in 1991, and her first store opened in New York’s Soho district in 1992. 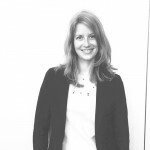 But her real global expansion began in 1997, when she opened freestanding boutiques in Tokyo and Osaka, thanks to a distribution and sales agreement with Isetan. Ever since then, her brand has enjoyed substantial success throughout Japan, which is one of the most important markets for her globally. “I’m always looking for the unfamiliar perspective on familiar things. That takes research. Which, as I said, is my favorite thing,” Sui is quoted as saying in a placard at the exhibit. This concept is evident in the looks that follow. 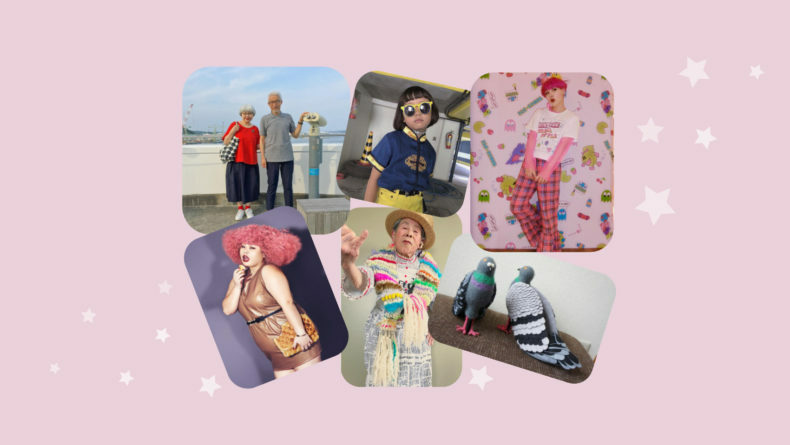 For even though the themes are common ones, Sui’s unique style and point of view make them look both fresh and timeless. The 20th-anniversary exhibit celebrates her success, while also looking back at some of the key moments in the designer’s career. Sui is known for mixing together a hodgepodge of prints, colors and textures in unexpected combinations that give even classic looks a modern edge. 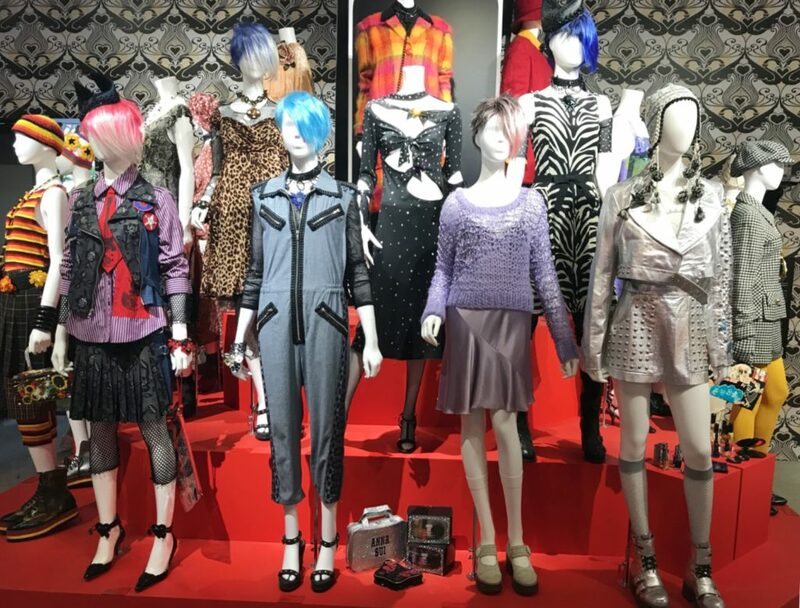 The fairytale section of the exhibit features a babydoll dress with a lace bodice and a skirt printed with roses and black and white stripes, paired with motorcycle boots and torn fishnet leggings and arm covers. “I’m a storyteller. 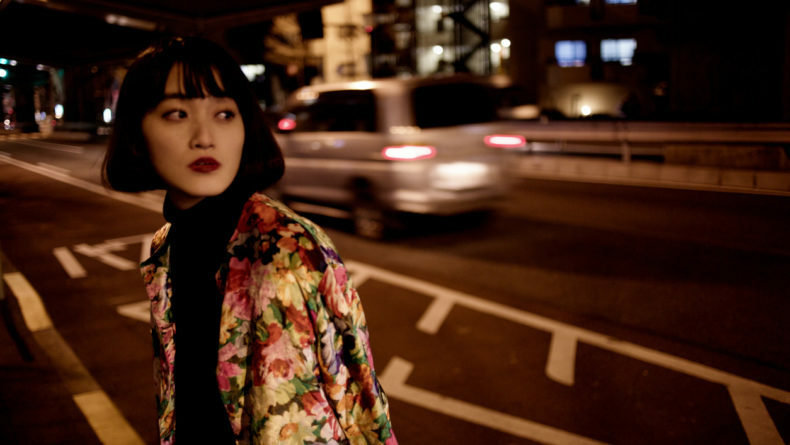 Which is why I love fairytales…The fantasy—the dressing-up part of fashion—has never lost its magic on me,” are Sui’s words in the accompanying description. 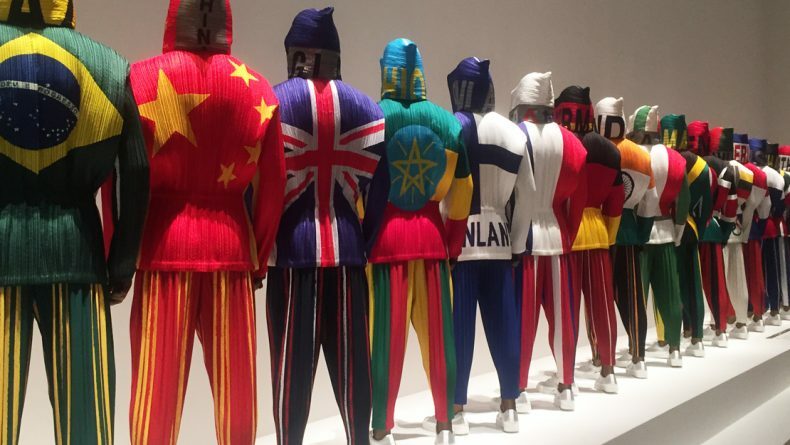 But perhaps the most identifiable looks in the exhibition are those in the rockstar section. 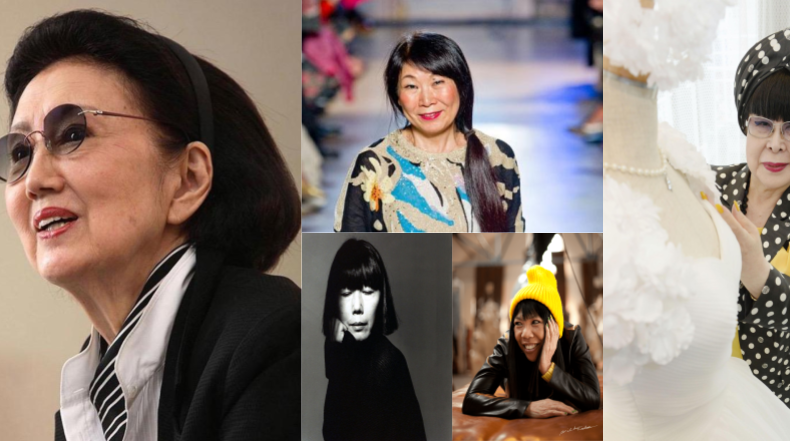 Sui, who says she’s a “rock chick at heart,” was once referred to by journalist Hilary Alexander as the “Janis Joplin of fashion.” She designed clothes for rock stars in the beginning of her career, and even today she says she asks herself when designing her collections whether they would look good on Keith Richards and Anita Pallenburg. 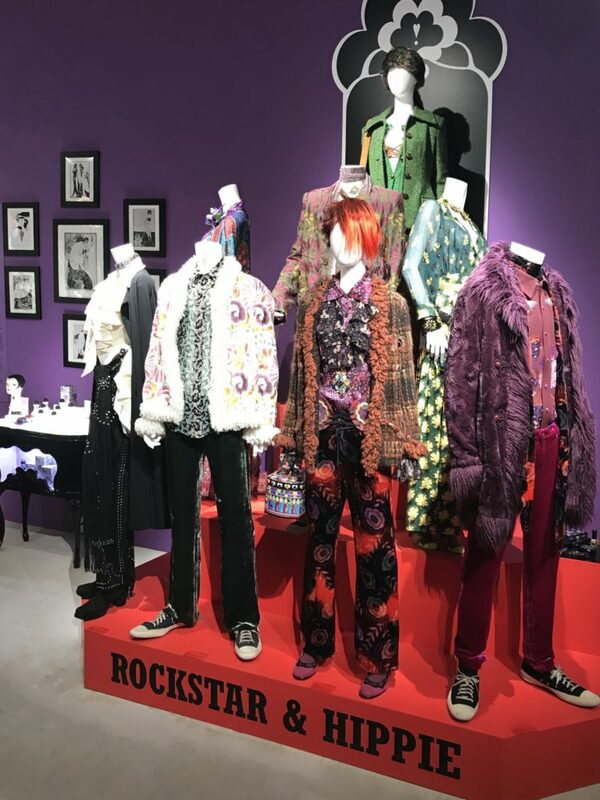 The placard for the rockstar section says, “It is her ability to weave these elements together to make something completely contemporary but true to her rock and roll sensibilities that is one of her hallmarks.” This sentiment so clearly and concisely sums up Sui’s work, and it also gives us clues to the future of her brand. If she’s lasted this long, through so many musical and cultural changes, chances are she’s here to stay. 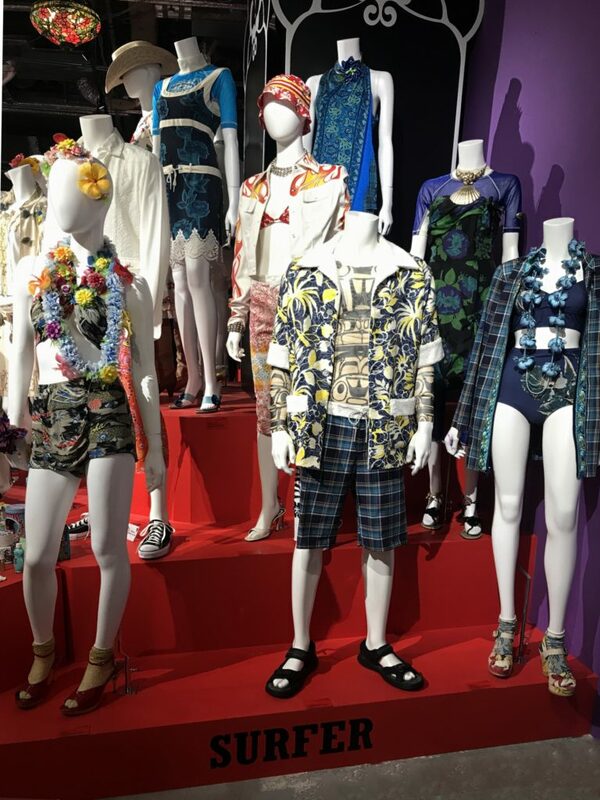 In corresponding with the exhibition, a limited pop-up store “Anna Sui Cosmetics Shop” is also open at the TV Asahi Summer Event Arena at Roppongi Hills until August 19. There you’ll find limited-edition eyeshadows, lip products, T-shirts, vouchers, anniversary goods and more! Until: Sun, August 26, 2018, 11 a.m.-8 p.m.